My fascination with Zodiac began in the ’70’s. It was during that time that I walked up to the base with two friends after they had done an ascent of it. We were there to pick up garbage along the base – it was a common practice then for parties to toss their refuse off, and some returned to retrieve theirs, as well as that of other parties, as we were doing. After hiking up along the base, filling a haul bag with debris found along the way, the three of us hung out in the talus below the route. They recounted each pitch, the challenges presented by them, and how glorious the whole experience was. We spoke of teaming up for another ascent of it, with me as a third, and though life’s vagaries didn’t allow it to transpire, a seed was planted that day. I will climb this route, I pledged to myself. Twenty-eight years ago last month that dream became a reality. 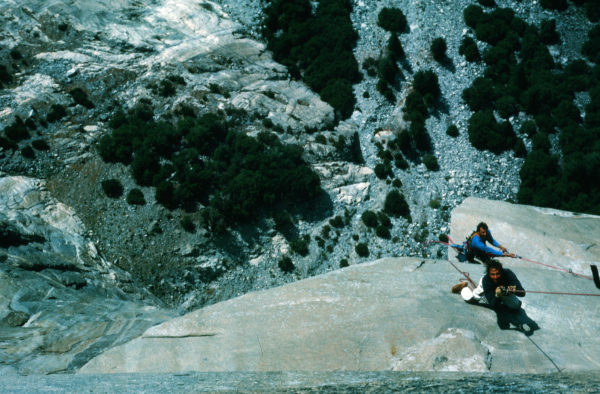 I teamed up with a friend that I first met climbing in Yosemite in the ’70’s, Larry Zulim, and a new friend, Sheldon Wilcox, for my first El Cap ascent, and my first big wall. It was an eventful 5 days. A major storm hit us on the second day, slowing our progress, but not dampening our enthusiasm. So much water came down in the storm that Hwy 140 was closed due to mudslides. We were treated to one of the most dramatic rainbows I have ever seen in Yosemite, clouds that moved in along the Valley floor, only to rise as they reached us, obscuring our view of Cathedral Rocks, and the rest of the Valley. A bit later a peregrine dove a couple of feet away from my head at a high speed, before grabbing a swift in mid-air 15 feet below, and so much else of a wonderful nature that I carried with me as I mantled over the top that day. It was a feeling that was unlike any that I had ever known, and I was hooked! Undiagnosed Post Polio Syndrome, (one of the many less than ideal results of having contracted Paralytic Polio when I was nine months old), was something I had been dealing with since I was 9 years old. It did, and continues to, make life interesting. Post Polio Syndrome (PPS) dictates to me that I must work diligently to maintain a balance between rest and activity, which means resting more than I would like, but by having lived with this insidious sequalae for so many decades, my understanding of it has been invaluable in maximizing my potential, and not allowing it to swallow me whole. I once saw a PPS specialist in San Francisco in the early 90’s whose advice to me was to use a power chair, stop exercising, and give up climbing. He told me in no uncertain terms that I would lose the use of my right arm in a few years if I kept working as hard as I was. I shudder to think where I’d be if I had taken his less than sage advice. And my heart goes out to those who have listened to this narrative, and now deal with high blood pressure, diabetes and joint and back issues, poor muscle tone, pressure sores, and more of a less than desirable nature as a result of living even more sedentary lives than they were previously. When I began climbing in 1977 there were no organizations like Paradox Sports. I knew of one other climber who was disabled when I first started climbing. He had also contracted Paralytic Polio, but wasn’t as profoundly affected as I was. He had been active in Yosemite for a number of years, and even swung leads on an ascent of the Salathe on El Cap around 1975, the first by an adaptive climber that I know of. There was another climber with significant issues with one of his legs who climbed Tangerine Trip in 1982. That was the year before what would have been my first ascent, had I not been hit by a car on my bicycle. A couple of cars running into me on my bicycle and then my motorcycle, got in the way of several plans in the ’80’s. And before I could follow through on other El Cap plans, or climb any of the other formations that my friends and I had plans for, I was assaulted and seriously injured in 1991. My physical reality was greatly reduced as a result of the injuries in ’91. This could have been the end of my big wall ambitions, but I fought to work back from these not insignificant setbacks. For myself, the best part of each day is embracing the possibilities that exist, rather than focusing on the very real limitations imposed upon me by my less than robust health and many physical limitations. In 1993, Sheldon and I had reunited for a trip up Glacier Point to the Oasis, a fine quite large ledge 500 feet from the top. Three years after the assault, I climbed the Diamond in Rocky Mountain National Park, which tops out at over 14,000 feet, with my friends Michael J. O’Donnell and Bill Whitt. The storm that we experienced on that ascent brought 110 mile an hour gusts of wind, snow, sleet and hail, and I was carried in and out no small part of the way on the trails up, and down. That Fall, I climbed Lurking Fear with another old friend from my early days climbing in Yosemite, Steve Schneider, for my second El Cap ascent, and a week later, Mike O’Donnell and I climbed Primrose Dihedrals on the Moses Tower in Canyonlands. 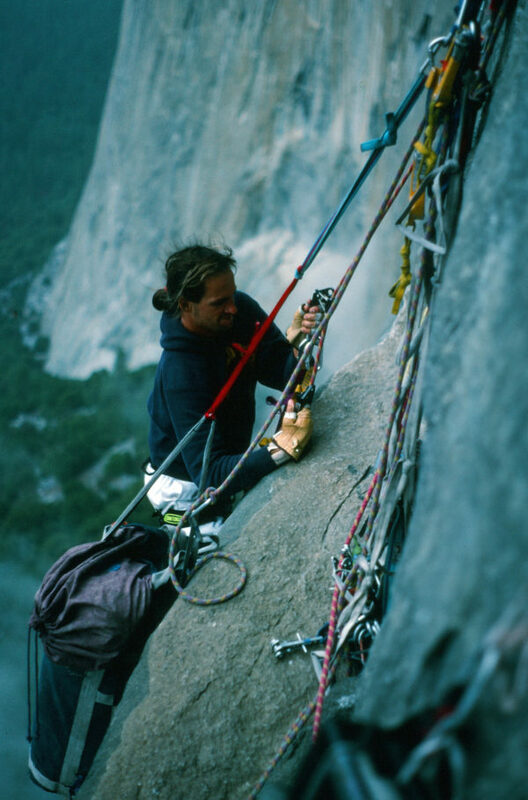 Though physical setbacks that took recovery time have kept me from doing walls as often as I would have liked, I have managed to climb El Cap 23 times, (and break the speed record on Bad Seed in 1998, with Hans Florine and the late Brian McCray. It was the fifth ascent of the route, and we did it in 19:12, and still hold the record), and 45 wall ascents total. An incredibly precious gift that my partners have given me collectively, each of those memorable ascents. My first push of Zodiac went in 12 hours, with Chris McNamara and Eric Sloan in 1998. On that ascent we started climbing at 9 PM, as it was in the middle of a brutal Valley heatwave of consecutive 105* days. In the Fall of 2000, with Hans Florine and his former Wife Jackie, in much more reasonable temperatures, we did it in 15:12. That one was my only sub 24 hour car to car El Cap; At least I managed one! Sept 22nd, 2018. Photo by Roger Putnam. 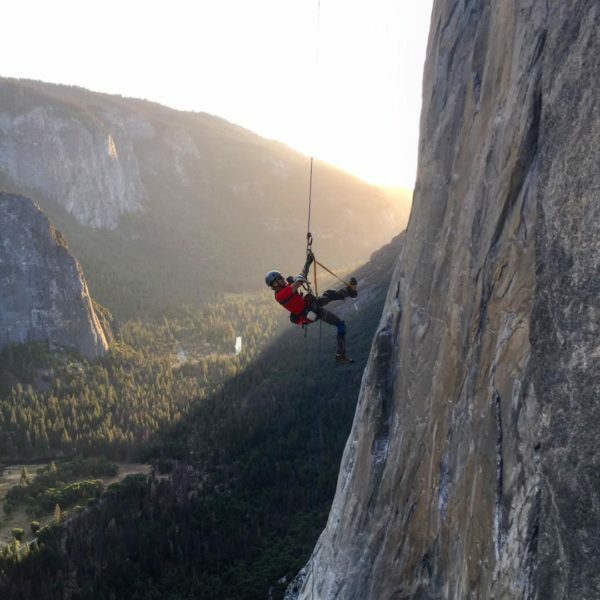 In September 2018 I tied Tom Frost and Eric Pearlman for being the oldest climbers to have done El Cap in a day, fittingly on Zodiac, with my friends Brandon Adams and Roger Putnam. We did it in a slow motion time for them; 17 1/2 hours. A sprained wrist slowed me down more than a bit, but it is healing nicely. I have climbed Zodiac twice additionally, once with my friends Kristoffer Wickstrom and Scott Lappin in a sub 24 ascent, and another push just with Kristoffer. Three additional ascents of the Diamond. On all of these, after dedicating no small amount of time and effort to finding healing, I was able to hike in and out for those ascents, assisted only by hiking poles. Three ascents in Zion, one that my partners Kristoffer Wickstrom, Karl Kvashay and I set the record on, ‘Dark Side of the Moon’ which we climbed in 16:40, two years ago. 7 ascents of long routes on the Chief, including the first one day ascent of the Aid route on the Sheriff’s Badge with Luke Cormier and Kieran Brownie last summer. As Albert Einstein said; ‘Life is like riding a bicycle, to keep your balance you must keep moving.’ Though I have a propensity for stumbling, and some of those stumbles have led to falls, I try to make getting out for my hiking pole assisted hikes 5 days a week a priority. My right arm is now the strongest it has ever been, and I have more muscle on me than ever overall. A slightly different reality from the one predicted for me that day with the PPS specialist who injured my arm in his examination, and then told me that, ‘you will never be able to add any additional muscle to your body.’ He also told me that he thought I was doing other people with disabilities a disservice by doing these climbs. His point was, most people with disabilities will never be able do what I am doing, so the bar I am setting in regard to participating in this arena is unfair to them. That flawed logic applied to the able population would mean that LeBron James does everyone a disservice by excelling at what he does. Needless to say, I only saw him once. 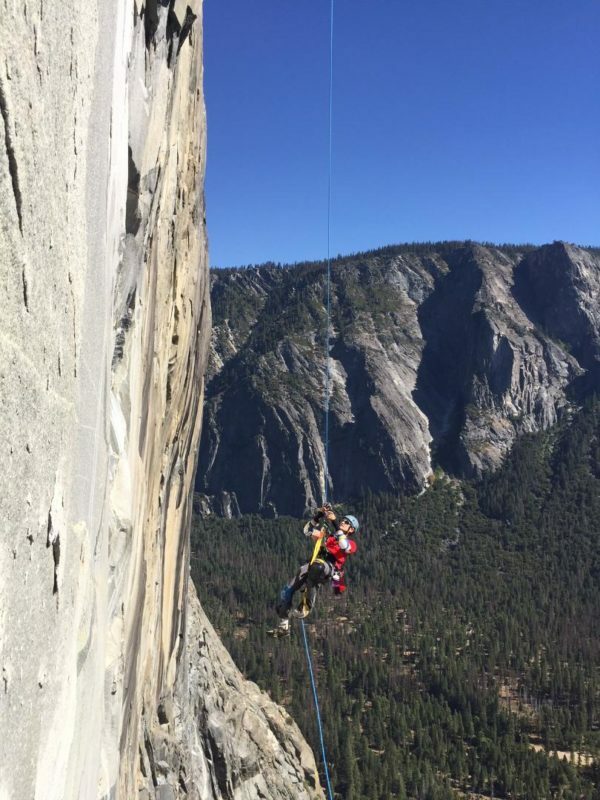 Today there are adaptive climbing programs in many places, and the number of adaptive El Cap ascents continues to grow. What was is past, that which is to come will be formed by our thoughts and intentions. I have plans for a November Zodiac ascent, and if it transpires, it will be my 11th month having done an ascent, leaving me missing only February. Something that I was not imagining for my 65 year old self when I stood on top of El Cap for the first time in 1990. So whatever your personal El Capitan is; do not be dissuaded by naysayers, do not be disheartened by setbacks, and do not listen to the voice in your head that tells you that giving up is an option because what you are doing is difficult. Life is difficult for everyone. The greatest meaning in life can be found by embracing the struggle. And, you might inspire someone else along the path to realizing your goals and dreams. Wayne Willoughby contracted paralytic polio as a baby and has had numerous surgeries and debilitating post polio syndrome ever since. He is an accomplished adaptive climber with 45 big wall climbs under his belt. 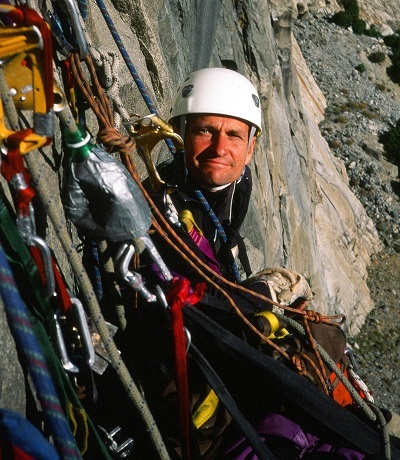 To name only a few of his accomplishments: first adaptive ascent of the Chief in 1998, climbing the Nose of El Capitan in 22 hours with Hans Florine and Tico Allulee in June 2006, and in 2016 the Black Canyon of the Gunnison with Paradox co-founder Timmy O’Neill. You can read more about that trip on the Patagonia blog here: Power of the Possible: Climbing with polio in the Black Canyon of the Gunnison by Timmy O’Neill.